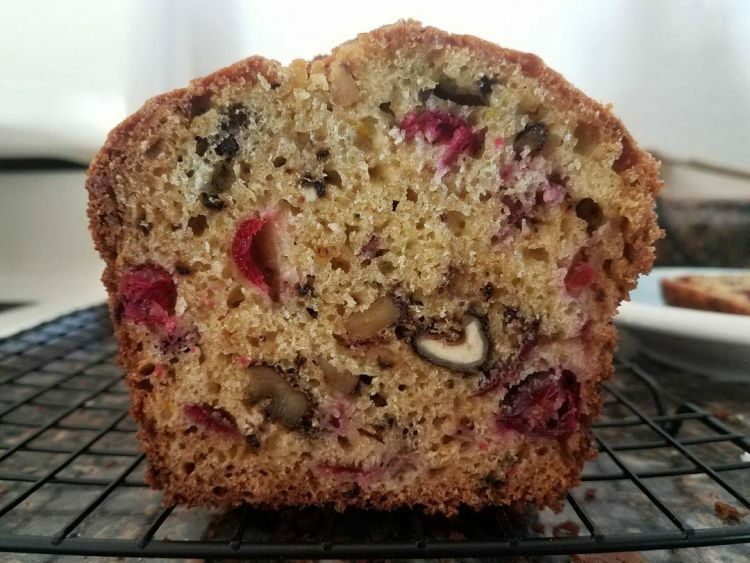 This is a lovely autumn and winter quick bread. It’s quick and easy to make. Serve as is or with cream cheese, a cup of coffee or tea, and enjoy a break. 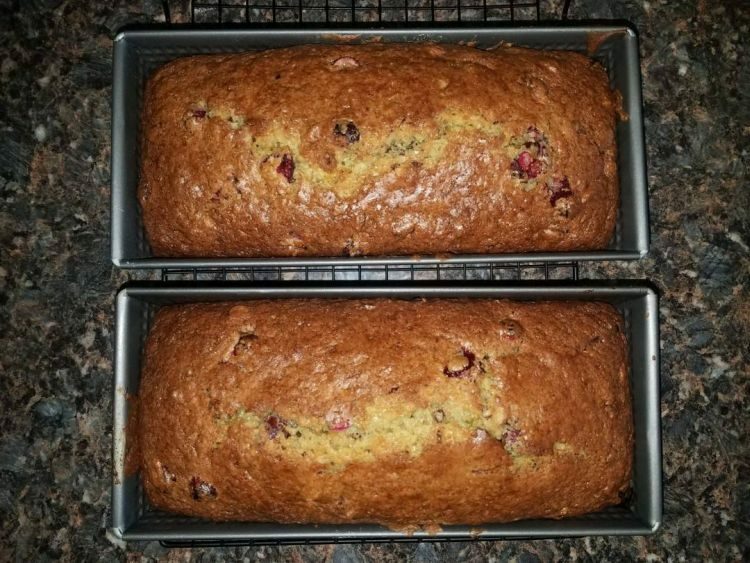 One 12 ounce bag of fresh cranberries makes two loaves. 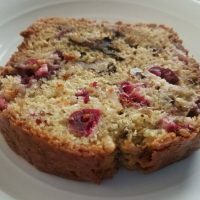 It’s nice to have an extra loaf to share with a friend, take to work, or store in the freezer for another day. To freeze, wrap well with plastic wrap and then place in a zipper plastic bag. 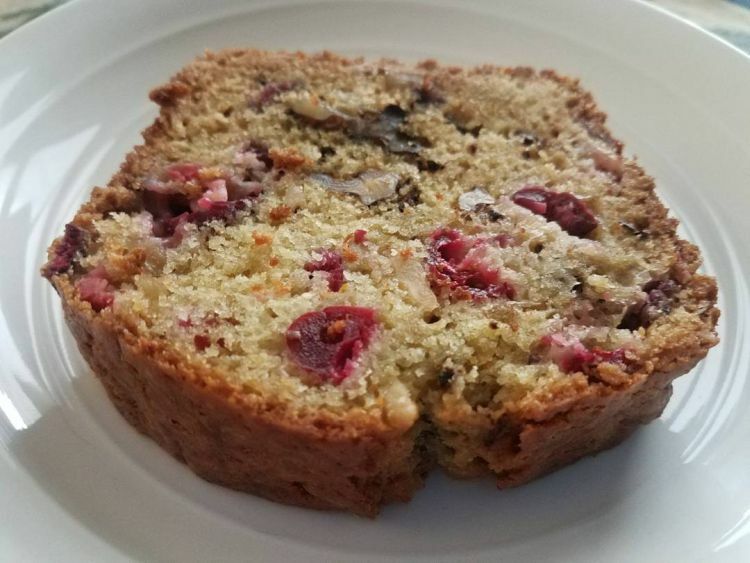 Cranberries and walnuts are a great combination for this autumn and winter style quick bread. It's nice to make two loaves so you can share or freeze one. Preheat the oven to 350°F. Mix together all of the wet ingredients in one bowl. Chop the walnuts and cranberries. Gently mix the wet ingredients into the larger bowl of dry ingredients. Mix only until the flour is blended in. It's important to not over mix this recipe. Fold the cranberries and walnuts into the batter. Stop folding as soon as they are well blended. Butter two 8 1/2" x 4 1/2" loaf pans. Pour half the batter into each one. Bake at 350° for 60 to 75 minutes. The bread is done when it doesn't give way under pressure from your finger or a spoon (careful, don't get burned). Cool for ten minutes in the pans, and then an hour before slicing.